Lindos combines relaxation and intense life in the summer months. And also the journey into the past with the natural beauty and wonderful beaches. 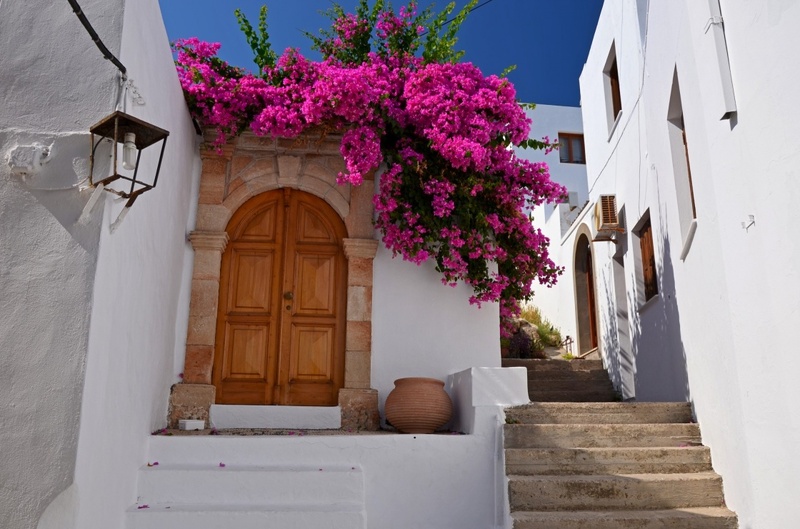 Lindos is one of the most popular destinations on the island, because as already said, it combines the natural landscape with monuments from antiquity and the Middle Ages in a traditional village. 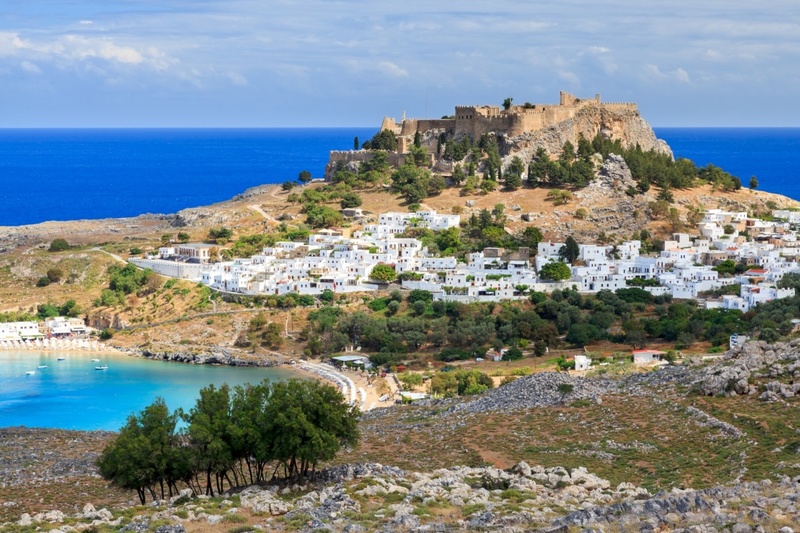 The Acropolis of Lindos (offers one of the most beautiful sights of the sea) is classified as a monument, like the old town of Rodos, and as a result receives thousands of visitors each year. Acropolis is a hill accessible by foot or by donkey. Lindos village has its own unique character with the white houses beneath the acropolis. But the attention of any visitor is being caught by the famous mansions, their date of construction being engraved in their front doors. Some of these beautiful houses have been converted to luxury apartments, restaurants and cafes. Those mansions belonged to the captains of the 17th-18th century. This village has a unique square with a giant tree in the middle, perpetually watered by the fountain with spring water, the construction of which goes back to the time of knights. You can find here an awarded - for its Greek cuisine of course - restaurant, with many famous visitors. Next to the square, is the... parking of the sympathetic donkeys (more than 100) who patiently bear the visitors on their backs to move them up to the acropolis. It's a unique experience for everyone to live. In Lindos, visitors can also enjoy good food like fresh fish, as well as have fun at the many bars. Also they can buy nice souvenirs and handmade embroidery from the souvenir shops. DO: In the chapel located opposite the beach of St.Pavlos, visitors will see many couples - in particular English -be joined in holy matrimony. DON'T: Lindos shores are extremely varied with a number of bays. The sea here is shallow with sand and crystal clear waters, so it is suitable for children but not for diving. Find information about selected Hotels, apartments and rooms in Lindos to choose the perfect place for your accommodation.